I had a completely different thing, all drawn out and ready to go (maybe I'll be able to use those icons in another pattern) when I remembered I had to run out to the store for something. As I was leaving, the cashier asked if I got to enjoy the nice weather and I almost did a facepalm. Of course! Weather is the nicest. 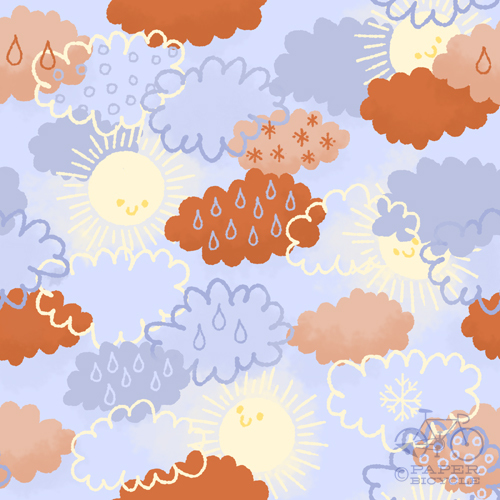 I made a pattern about the nicest weather around.